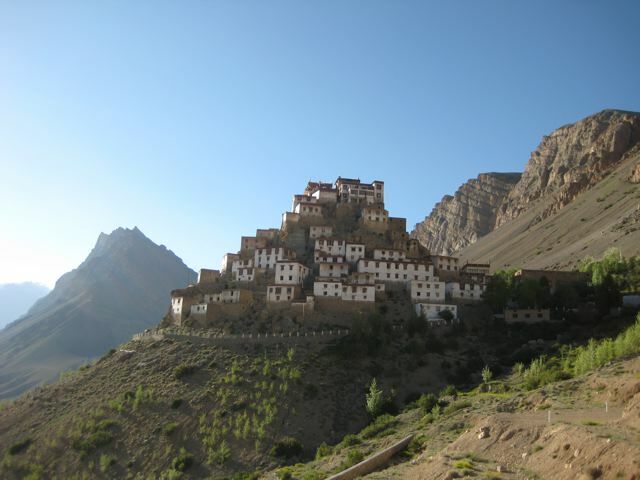 Regular public transport is available to both monasteries from Kaza, the main town in Spiti Valley. 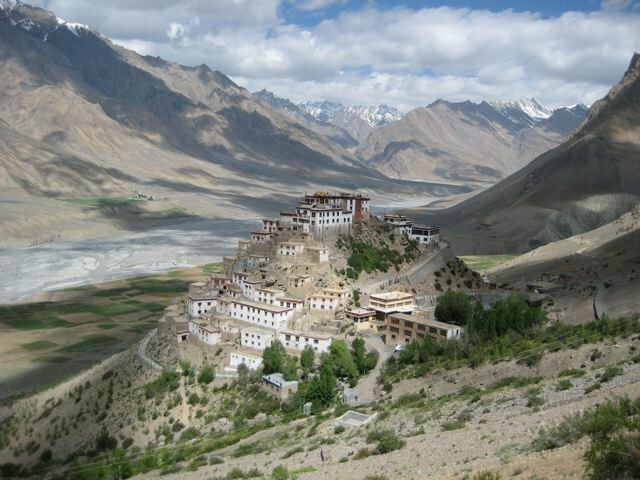 Spiti Valley is situated in the northeast of Himachal Pradesh in India’s Himalaya. It is a primarily Buddhist area and is one of the most sparsely populated regions of the country. 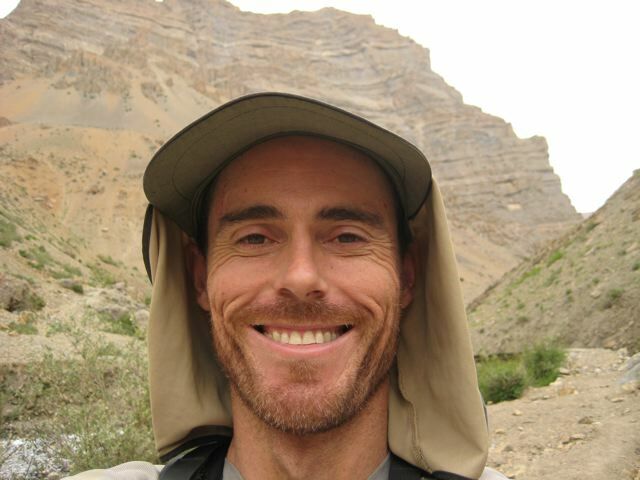 I pieced together this route through a combination of word of mouth and a sketch map provided to me by the friendly staff at Ecosphere Spiti in Kaza. It ended up being all I needed for navigation purposes, as for most of the hike I was never that far away from the next village or monastery. 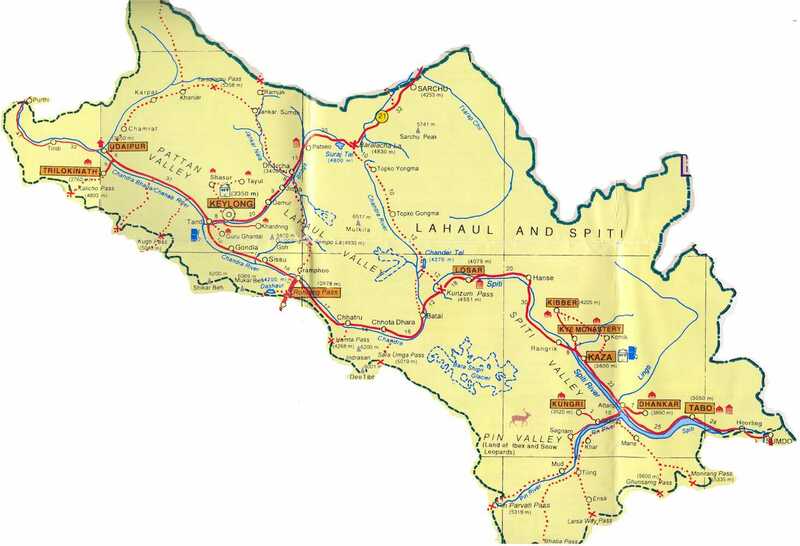 The 1:200,00 Leomann Maps series includes the following two sheets which may be of help (I have not seen them personally): Map #5 : Himachel Pradesh (Kulu, Parbati, Central Lahul) & Map #6 : Himachel Pradesh (Kalpa-kinnaur, Spiti & Simla). In regards to supplies, you can buy provisions at all of the villages along the way. 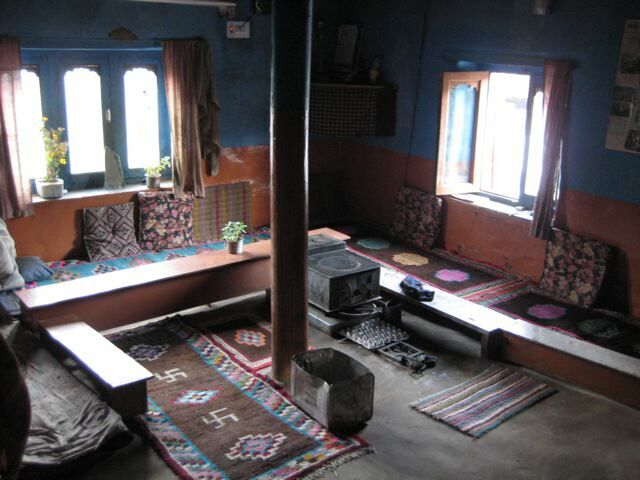 If overnighting at the monasteries (known as ‘Gompas’), it is possible to arrange breakfast and dinner with the monks. At the end of the first day, I found accommodation with the monks at Ki Gompa. There isn’t much in the way of signs, cairns or other markings on this hike. 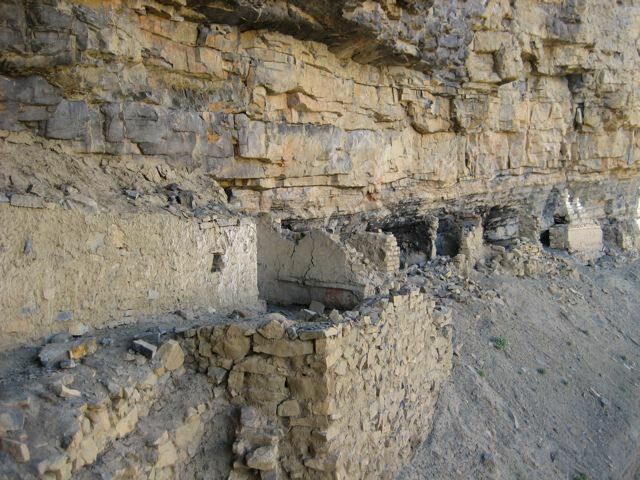 Indeed, I’m not sure whether any other foreigners had previously linked together the various sections of trail and dirt road which join Ki and Dhankar gompas. That being said, navigation is never overly difficult, and the stretch between Langza and Dhankar seems to be more frequently travelled. If in doubt ask one of the friendly local people and you will soon be headed in the right direction. 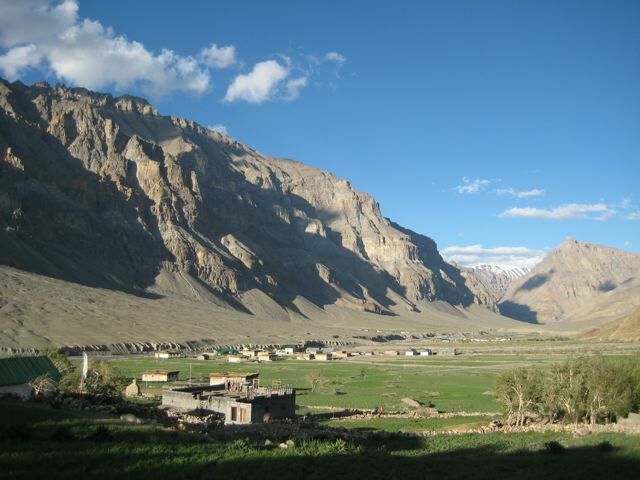 The entire trek takes place in the mountains above Spiti Valley, on the NE, or true left side of the Spiti River. About 30% of the walk is along infrequently used dirt roads (I saw one car in four days). 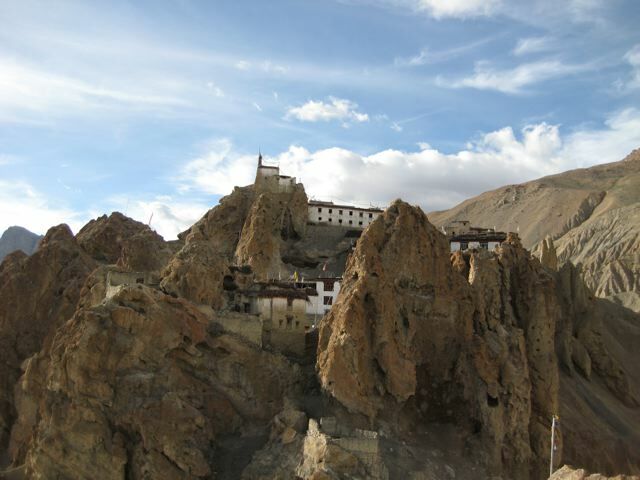 After staying the night at the spectacularly set Ki Gompa, ask the monks to show you where the trail to Kibber begins. You can’t miss it. Basically it goes straight up from behind the monastery. After a steep climb, the path eventually levels out at Gette (which consists of a few small houses). Continue north for a couple of kilometres until you reach the village of Kibber. At 4270m, it is one of the world’s highest villages. Stay the night and make a side trip out to the nearby gorge, which you may or may not be able to cross via a cable car. Quite a ride, but not for those with vertitgo. 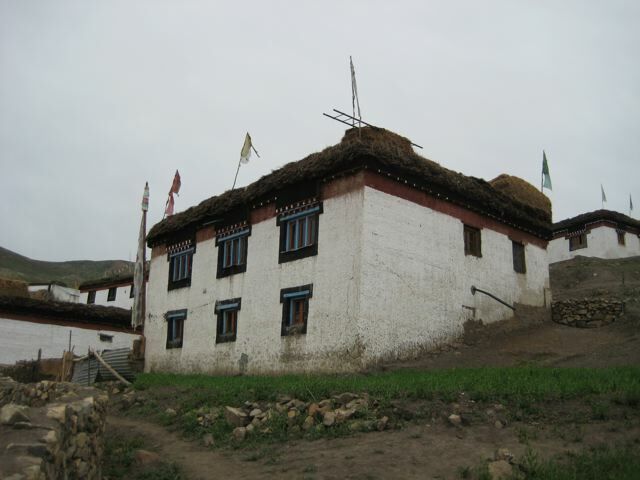 From Kibber, retrace your steps back to Gette, then head ESE to the village of Tashigong. 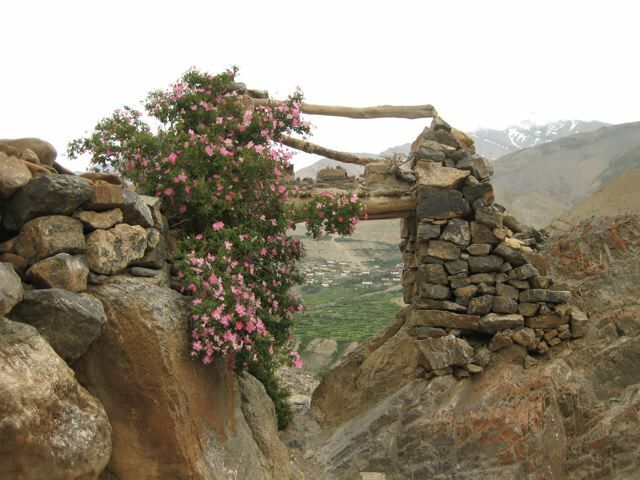 From Tashigong, look SE to the opposite side of the Shila River canyon where you will be able to see some houses which form part of the village of Langza. This is your next goal. From Tashigong, immediately descend steeply to the Shilla River. The trail is clear. 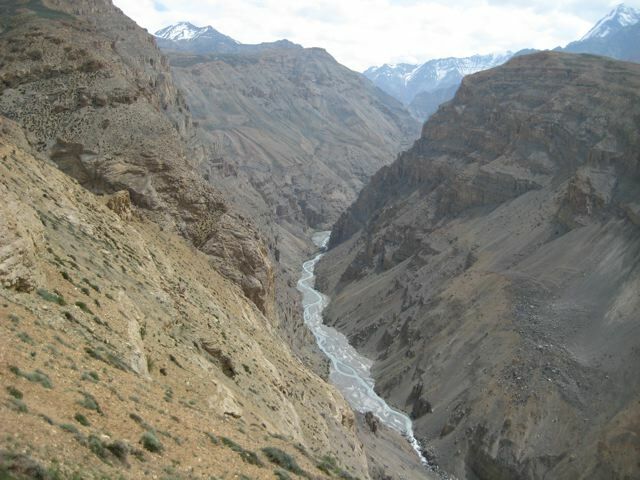 Whilst descending you will see a narrow gorge on the opposite side of the river, which eventually leads to the village of Langza. Ford the Shilla river and begin climbing up the gorge. There is quite a bit of scrambling involved and the way is sporadically marked by rock cairns. This is by far the most difficult section of the entire route. From Langza (there is a giant statue of Buddha overlooking the village) a dirt road leads all the way to Komic monastery (4587m). There is guest accommodation and a small shop. 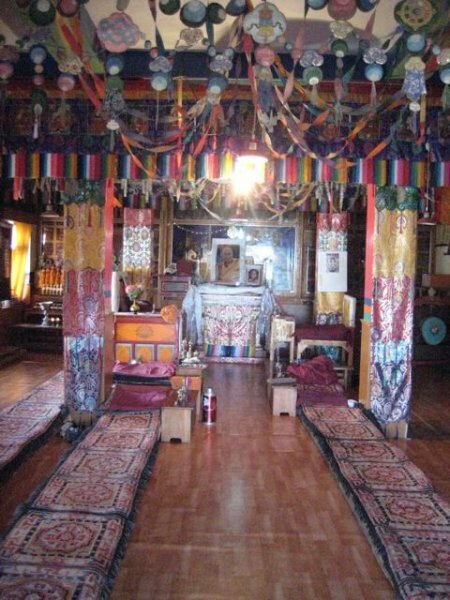 A worthwhile side trip from the monastery brings you to a small meditation cave which contains some impressive ancient murals. It can be a bit tricky to find. Ask the monks for directions. 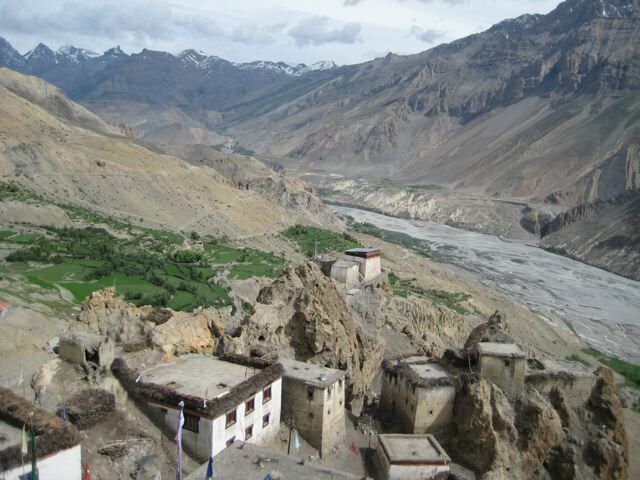 From Komic the route continues via Demul (my favourite village in Spiti), Lhalung (be sure to check out the Gompa) and eventually reaches the spectacularly set Dhankar Gompa. 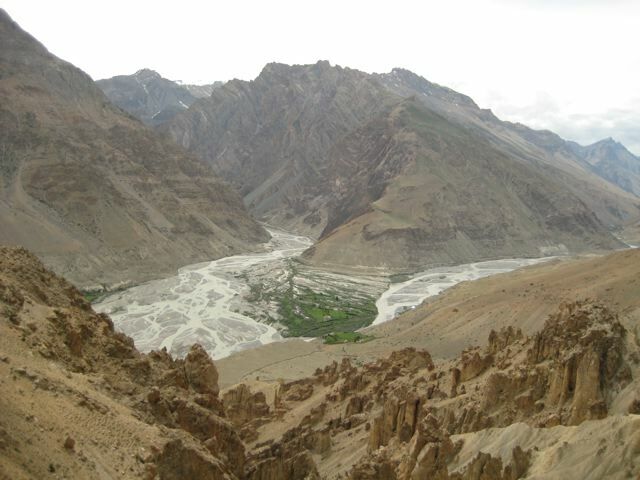 Click here for a description of the trek from Langza to Dhankar. Possible to find accommodation at the monasteries and villages along the route. In regards to the latter, simply mention the world “Homestay” and chances are a friendly local will take you direct to a nice family abode. No need to book in advance. A fantastic trek that includes spectacular mountain scenery, welcoming villages and the opportunity to experience daily life in Buddhist monasteries. One of my favourite hikes in the Himalaya. 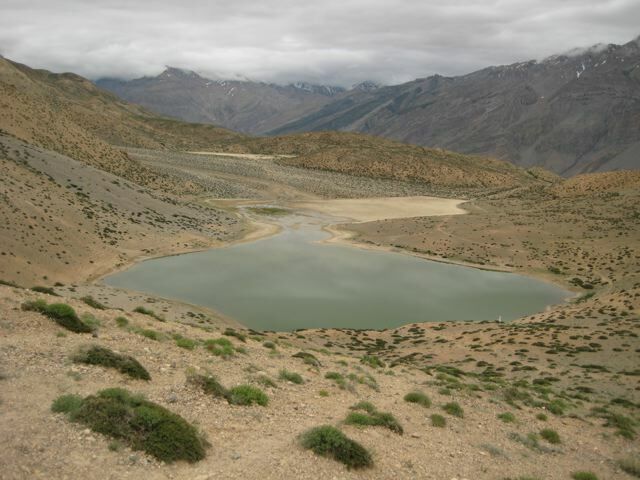 Lake above Dhankar Ghompa, situated at a little over 15,000 ft above sea leve.